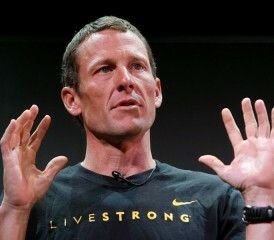 Lance Armstrong was an American hero who evolved into a lying, cheating, bullying, conning, vindictive, dishonorable lout. But he also saved thousands of lives, and will continue to do so, along the way. You don’t have to like him, that would be pretty difficult now, but you still should give credit where credit is due, despite the avalanche of evidence that has buried his once-glowing persona. The loose-knit cancer community, even those related to mesothelioma and lung cancer, still owes him a big debt of thanks, as hard as that may be to fathom today. His much-chronicled, two-day talk-show confessional this week — when he finally admitted his glorious cycling career was built on doping and deceit — has unleashed a new round of worldwide contempt for him. Years of adamant, indignant denial suddenly turned into an open admission of guilt, further pulling back the curtains on his elaborate and well-orchestrated kingdom of lies, leaving him to dangle like a piñata hanging from a tree. Everyone today is taking their well-deserved shots. Yet beneath the punching bag he has become, there remains the Livestrong Foundation he created 15 years ago. It has raised more than $500 million for various cancer causes, both national and internationally, to improve the lives of those touched by a disease that shows no mercy. The money has gone to more than 500 different organizations, good, clean organizations, that are helping the battle against all kinds of cancer, organizations that might not have survived without the Livestrong assist. Maybe he did steal some of it, but so did Robin Hood, and so did Jesse James. His own personal comeback in the ’90s from testicular cancer to win a record seven Tour de France titles, the Super Bowl of cycling, made him an inspiration to many cancer survivors who desperately needed someone, something, to believe in. He provided it. And you can’t take that away now. How Many Cancer Patients Will Benefit? Yes, Armstrong was egotistical and arrogant and vindictive through the years, attacking those who dared to question his integrity and honesty, even when the evidence was mounting against him. But he fought his detractors the same way he fought his cancer, with a calculated fury. And people bought into his fight. For so long, they wanted to believe. No, the image we believed in wasn’t real in Armstrong’s case, but the good that came from it was. There are a myriad cancer survivorship programs that stem from Livestrong. There are early cancer detection campaigns in this country because of it. There is financial assistance for those who need help in fighting this dreaded disease. He may have bulldozed many innocent people through his path of deceit, but he helped a hundred times more people with assistance he provided. He may have lied and lied again, but he brought hope again and again to cancer patients. Take him for what he is (and was): a gifted actor with unrelenting resolve, willing to sacrifice friend and foe and anyone else who stood in the way of reaching his goals, even as unethical as they often were. He stabbed friends in the back, and went to court many times to sue those who were telling the truth about him. Building the Lance Armstrong brand took precedence over everything else. And building the Lance Armstrong brand benefited the fight against many different cancers. Like him or not, he helped the cause immensely. Much of the hurt today stems from our own obsession with sports figures, whose athletic feats are overly magnified and too-easily glorified. Much of the venom is from media members who once fawned over him, as the sports media does so shamelessly, then felt betrayed that he had used them like pawns in his scam. All seven of his Tour de France titles were stripped last fall following the release of a 1,000-page report by the United States Anti-Doping Association (USADA), detailing the history of the cheating that helped him win. “The most sophisticated, professionalized and successful doping program the sport has ever seen,” it said. He resigned from his position as the chairman of the Livestrong Foundation last year, knowing his presence now could cripple the organization. And since his departure, the fundraising has remained strong, moving forward with its goal of fighting cancer. There still is no reason to forgive his lies, or buy into the excuses he offered. Remember him any way you choose. His world has collapsed around him now. And it was well deserved. But remember one thing: His work as a cancer advocate helped us all.